The first trailer for Jurassic World was released last week, promising the usual glut of dinosaur-fuelled mayhem, plus Chris Pratt riding a motorbike while escorted by velociraptors. Which means that Chris Pratt just won the internet. It’s hard for me not to be excited for this film – Jurassic Park was such a major part of my childhood, and the piano rendition of the theme music in the trailer certainly awakens the nostalgia. A cynical part of me wonders how they can possibly recycle the same storyline yet again, but DINOSAURS. Yet seeing the trailer, with its talk of genetically modified hybrid dinosaurs, made me reflect once again on the debate surrounding genetic modification, and how science fiction has shaped – and continues to shape – public opinion on this issue. Whenever a genetically modified organism (GMO) makes the news, it is invariably accompanied by the prefix Franken. We’ve had Frankenfish, Frankeneggs, Frankencows, Frankenchicken, and a whole list of other controversies. That simple prefix conjures up images of monstrous, mutated products. It is a shorthand for experimentation gone wrong, science that is out of our control. 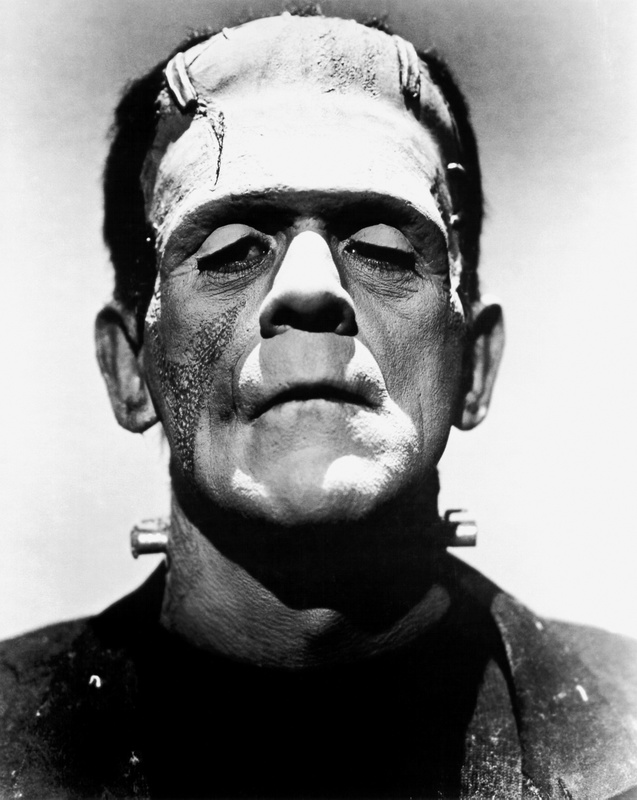 Frankenstein, like Jurassic Park, is a cautionary tale about the consequences of playing God. And it’s had an indelible influence on the way that the public perceives GM products. Frankenstein’s monster is an unnatural creation. His birth is accompanied by a storm, as nature itself rebels against this abomination. Throughout the rest of the novel, the appearance of the monster is often synonymous with scenes of nature in disharmony. The prefix Franken has evolved into a type of metaphor for unnatural creation, suggesting something which heralds disaster, something that is out of sync with the rest of nature. It is a detrimental association for the public image of GMOs, with an uninformed public equating genetic modification with something dangerous or harmful. A popular public belief is that “natural” produce is better than something that has been artificially modified. But how can we define natural? There’s very little produce that is still free from genetic experimentation in one form or another. Livestock and other animals have been selectively bred for centuries, even before Charles Darwin identified natural selection as the driving force behind evolution. In fact, it was his observations on how farmers selected livestock for breeding that helped him formulate his theory. The process has only been accelerated since the Industrial Revolution; the whole concept of genetic engineering could easily be seen as an evolved form of selective breeding. However, in the context of genetic modification, natural means that the genes haven’t been modified by modern biotechnology. Opponents of genetic modification promote the idea that scientists are tampering with naturally evolved biological processes, and that the results are unpredictable and potentially harmful. However, there is broad consensus across the scientific community that GM products pose no greater risk to human health than their natural counterparts. The benefits, on the other hand, are extensively documented. GM crops are modified to be resistant to certain viruses or herbicides, as well as to have increased nutritional value. Efforts are being made to make them more sustainable, or to allow them to thrive in different environmental conditions. Furthermore, there is no evidence to suggest that food products made from livestock who were fed on GM crops are any different from products from livestock who were fed unmodified crops. Possibly the greatest thing to happen since we landed on the Moon. I have always maintained that the role of science fiction is to question and challenge our society, to hold a mirror to our reality. The genre has a strong history of mining genetic modification for plot ideas, whether it is the creation of new monsters, or some type of grand social engineering experiment (such as Brave New World). And the results are mixed – sometimes the vision is utopian, other times it is distinctly dystopian. These texts have had a lasting impact on the public perception of GMOs; the fact that the genre remains so engaged with the debate means that it’s still simmering in the public consciousness. But, given the broad consensus in the scientific community that genetic modification poses no risks to human health, does science fiction need to be more responsible in its portrayal of genetic engineering? I don’t believe so. It is not the genre’s role to be educational, or to blindly promote science without considering the potential consequences. It is precisely because of texts like Frankenstein that people are conscious of the importance of regulation on scientific experimentation. 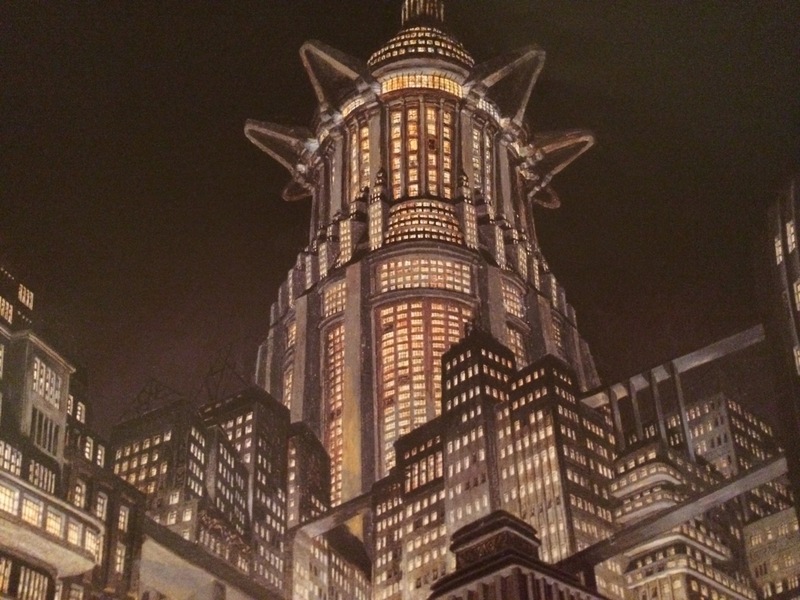 Science fiction must critique science, even as it explores its myriad concepts. But, on a personal note, I would like to see the genre move beyond the standard “monster of the week” approach to genetic modification. There’s only so many GM monsters that I can handle before each story looks the same. It’s encouraging to read or watch texts that adopt a more sophisticated approach to the subject. 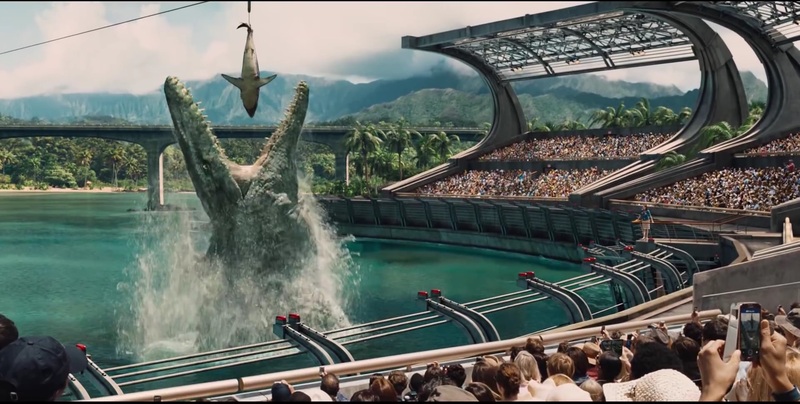 In a demonstration of one-upmanship, the T-Rex eating a goat scene from the first movie is replaced by a larger dinosaur eating an apex predator. Because DINOSAURS. Despite this, I’m still looking forward to next year’s Jurassic World and its crazy hybrid Frankensaurus. It might not add anything new to the GM debate, but it’s still going to have that John Williams score. 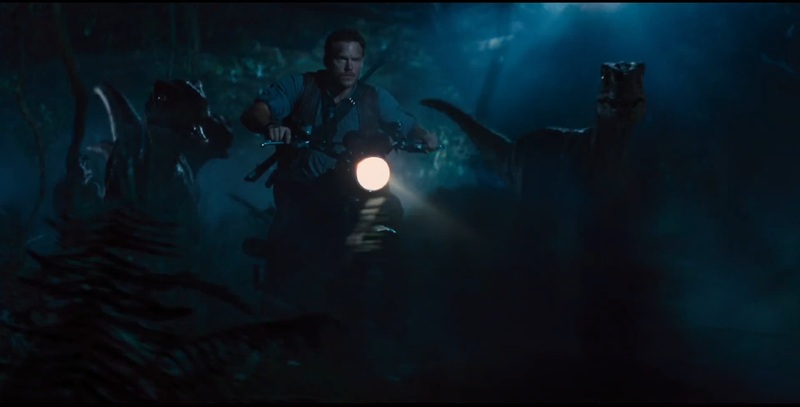 And Chris Pratt on a motorbike with raptors. Great post, as usual. Especially your perceptive point about genetic modification always making monsters in sci fi. I like Gattaca because the genetic modifications are not necessarily visible, and those that are, are presented in an intriguingly positive light (the six fingered pianist), and the world is not entirely dystopian.